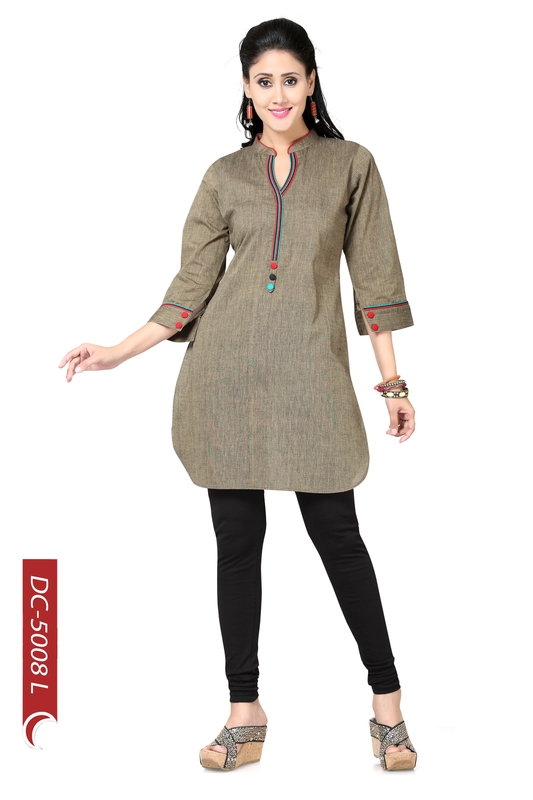 Appear like a diva that you really are in this round edged tunic curated from the house of Snehal Creations. Fab buttons decorate cuffs and unconventional neck design having a chinese collar interspersed with sweet slim pipings. 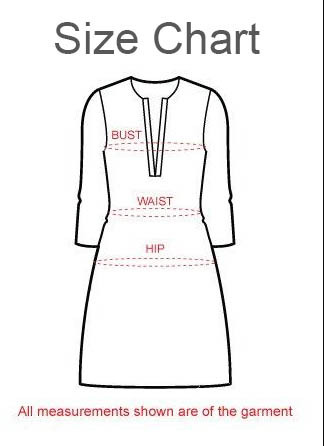 Tailored for comfort in south cotton , it can be teamed up with leggings or jeans of your choice.